The end of this story is yet to be written. Ethiopia has presented its claims following from the Teff Agreement to the public receiver of the bankruptcy case in the Netherlands. The teff patent excludes all others, including Ethiopia itself, from utilizing teff for most forms of relevant production and marketing in the countries where it is granted. This report tells the story of the access and benefit-sharing agreement on teff genetic resources (Teff Agreement), which was celebrated as among the most advanced of its time. It was entered into in 2005 between the Ethiopian Institute of Biodiversity Conservation (IBC) and the Dutch company Health and Performance Food International (HPFI), and was in practice terminated when the HPFI went bankrupt in 2009. The report provides an in-depth analysis of the developments with regard to the agreement as well as a related patent, and draws lessons for future access and benefit-sharing agreements as well as for the implementation of the Nagoya Protocol on Access and Benefit Sharing under the Convention of Biological Diversity. Since the adoption of the Convention on Biological Diversity (CBD) in 1992 and its entry into force in 1993, various attempts have been made to establish agreements between providers and recipients of genetic resources on access to such resources and the fair and equitable sharing of the benefits arising from their use. Nevertheless, few success stories can be noted so far. That makes it important to analyse the experiences to date, in order to draw lessons for future access and benefit-sharing (ABS) agreements. Such lessons will also be useful for the implementation of the Nagoya Protocol on Access to Genetic Resources and the Fair and Equitable Sharing of Benefits Arising from their Utilization, which was adopted in 2010 and will enter into force 90 days after the 50th country has ratified it. With this case study, we focus on an ABS agreement that received considerable attention when it was signed, and that gave rise to great expectations for its potential to spearhead how future ABS agreements could be. The Teff Agreement was negotiated in March 2004, finalized in December 2004 and signed in April 2005. The parties to this agreement were the Ethiopian Institute of Biodiversity Conservation (IBC), together with the then Ethiopian Agricultural Research Organization (EARO), and the Dutch company Health and Performance Food International (HPFI). The agreement provided HPFI with access to specified teff varieties and with the right to use these varieties to produce a wide range of specified food and beverage products not traditional in Ethiopia. In return, the company was to share monetary and non-monetary benefits with Ethiopia, including shares of the royalties, licence fees and profits as well as research cooperation and the sharing of research results. 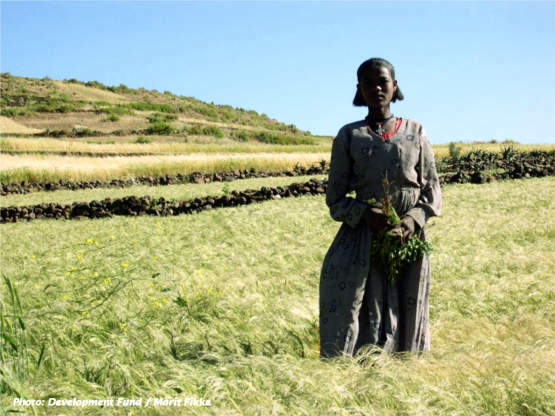 In addition, the agreement stipulated that HPFI should recognize Ethiopia as the origin of teff genetic resources; further, it prohibited the access to traditional Ethiopian knowledge or to claim rights over such knowledge, or making commercial profits from its use. Teff products were considered to have considerable marketing potential in Europe and the USA, because teff is gluten-free and is high in nutritional value. Thus, there were great expectations as to the benefits that Ethiopia could obtain from the agreement. 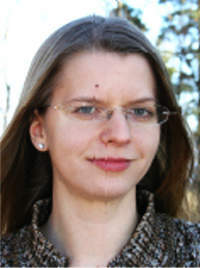 Dr. Regine Andersen, Polit., Senior Research Fellow. Research areas: Agrobiodiversity politics and effects of international regimes in developing countries; Access and benefit-sharing; Farmers’ Rights; Civil society strategies; Development co-operation. However, these expectations failed to materialize. When the company was declared bankrupt in August 2009, only 4000 Euro and a small, early interrupted research project were the benefits that reached Ethiopia. The HPFI claims to have shared benefits with Ethiopian farmers directly instead of through the IBC, under the framework of a development co-operation project supported by the German Federal Ministry of Development Cooperation, through the organization Sequa. The report documents serious irregularities with regard to this project, and questions what benefits actually reached Ethiopia. In the years prior to the bankruptcy, its directors had established other companies and transferred values to these companies, which continued to produce and sell teff flour and teff products, and to expand their activities to other countries and continents. Since it was the now-bankrupt HPFI that had been the party to the agreement, these other firms, even though operating under the same directors and partly the same owners, could continue selling teff flour and teff products with no obligations towards Ethiopia. To understand this story, it is also important to be aware that a Memorandum of Understanding (MoU) on Research and Development of International Markets for Teff-based Products had been signed on 26 March 2003. The Parties to this MoU were EARO, Larenstein Transfer and Soil and Crop Improvements (S&C), which was a precursor to HPFI. Based on the MoU, 1440 kg teff seeds were sent from Ethiopia to the Netherlands for research and development purposed: 120 kg each of 12 specified teff varieties. Following from this development, the company filed a patent application on the processing of teff flour and related products in the Netherlands as early as in July 2003; this application was later filed under the European Patent Office (EPO) in July 2004. The teff patent was granted by EPO in 2007. It covers teff grain (without any mention of specific varieties) with certain falling number values at the time of grinding (which, according to the patent, make the flour suitable for baking), to be achieved by storing the teff grain for some months for after-ripening, as is in fact common in Ethiopia; the patent also covers the milling of flour from these grains to a fine powder; the dough or batter resulting from mixing this flour with liquid; as well as a range of non-traditional products from such a dough or batter, including bread, pancakes, shortcakes, cookies and cakes of various kinds. The company argued that such a broad patent was required to secure the investments in teff and thus also the prospects of benefit sharing with Ethiopia. The report documents that the novelty and inventive step of the claims covered by the teff patent are highly questionable. In practice, the teff patent excludes all others, including Ethiopia itself, from utilizing teff for most forms of relevant production and marketing in the countries where it is granted. The patent was also filed in the USA and Japan. A development had started whereby Ethiopia was becoming sidelined. The country found itself squeezed out of position to utilize its own teff genetic resources – for example, through cooperation with other foreign companies – in Europe and wherever else the teff patent might be granted, while at the same time losing all prospects of sharing the benefits from the use of these genetic resources. After the HPFI bankruptcy, there was no longer any legal counterpart to the Teff Agreement, and few prospects that other companies would seek to develop such resources under an ABS agreement with Ethiopia as long as teff grain, flour, dough and non-traditional products remained covered by such a far-reaching patent in central countries. How was this possible? How to explain the failure of the Teff Agreement? What lessons can be drawn in terms of potential success factors for similar agreements in the future? 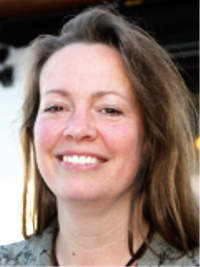 Tone Winge Master of Development Studies, Research Fellow.Research areas: Regulation of genetic resources; IPR and Open Source solutions; Innovation and development; Rural and agricultural development. Farmers’ Rights. A part of the explanation is that the market for teff in Europe and the USA was overestimated, and that the production of teff so far north was more difficult than anticipated. However, that does not explain why the company was not able to comply with even simple information-sharing provisions, such as providing IBC with annual reports. This rather points to the fact that the willingness to comply with the agreement ceased soon after it had been entered into. HPFI points to communication problems as an important reason for that. These problems started when IBC asked for the up-front payment provided for in the Teff Agreement, and continued when no annual report was forthcoming (except for one in Dutch). Probably the communication problem was first and foremost rooted in the HPFI, since several shareholders left the company due to precisely communication problems. It is also important to note that HPFI was a new company, established because of problems with the first company of the shareholders, S&C, and which simply was not very professional in its approach. Even the very best ABS agreement is valueless if there is no willingness to comply under the current circumstances. As long as there are no user-country measures in place, such agreements can rather be seen as gentlemen’s agreements, requiring a basis of good faith. Provider countries need institutional and financial support to enable the monitoring of ABS agreements, and to facilitate real access to justice in the user countries. A multilateral instrument for this purpose under the CBD combined with user country legislation is probably the most realistic possibility to realize the CBD and Nagoya Protocol objectives on the fair and equitable benefit sharing. It is important to be aware that formulations in ABS agreements prohibiting the patenting of genetic resources are easy to circumvent, and that more sophisticated formulations should be chosen if this is to be avoided. The end of this story is yet to be written. Ethiopia has presented its claims following from the Teff Agreement to the public receiver of the bankruptcy case in the Netherlands. Since there are many claimants and little value left in the company, the expectations in this context are low. There are several initiatives to challenge the teff patent, and time will show whether these will succeed. The Fridtjof Nansen Institute (FNI) is an independent foundation engaged in research on international environmental, energy, and resource management politics and law.